The video is quite good, worth the 8 minutes for sure. My upcoming book is shaping up nicely. I’m sure people will like it. It will have plenty tips and tricks people can put to use, especially in regards to security, awareness, self defense, driving and SHTF in general. It will complement my first book nicely, “The Modern Survival Manual: Surviving the Economic Collapse”, with practical information. It’s interesting to see how people get creative to find solutions when they lack resources. I’ve seen many similar things done in Argentina. Maybe not so much because of complete lack of availability like in Cuba but because the prices were beyond the capabilities of so many. The two books he mentions “El Libro de la Familia” and “Con Nuestros Propios Esfuerzos”, these are books on tips and advice, basically DIY for Cubans that need to pretty much improvise with anything and everything they get hold of. The first one seems to mostly “borrow” from Popular Mechanics and similar publications, the second one is advice from Cubans themselves on how to improvise on several fields from tools, making toys, transportation, health, food and so on. The first book “El Libro de la Familia” isn’t available, couldn’t find a PDF or even a copy to buy anywhere. If anyone has a pdf link or a copy they are willing to sell I’d love to get one. Of course it’s in Spanish but it’s mostly short lines and paragraphs which you should understand even with basic Spanish. Some of the cooking recipes are even easier to understand since they mostly just list the ingredients. I found these to be rather interesting from a survival perspective, how to be creative with limited ingredients. Anyway, hope everyone had a great Easter and if you know even basic Spanish the book is well worth downloading. I greatly appreciate your blog and your advice. I have read some of your posts on the subject of firearm safety (ex. 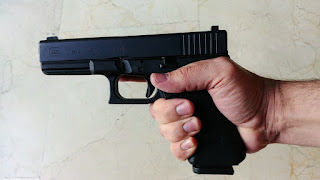 http://ferfal.blogspot.com/2018/06/common-mistakes-when-carrying-for-self.html) and I know you advocate carrying a safety-less gun such as a Glock in a holster with the chamber loaded. I would like you to address how to carry a smaller concealed weapon safely when holster options are limited. In particular, I would like to carry a compact 380 ACP such as a Ruger LCP in the warmer weather where concealment options are limited. A further limitation is that I don't like to wear shirts untucked. I always wear a button-down shirt tucked into jeans with a belt or sometimes cargo shortls without a belt. The only options I see are to conceal the pistol in a front pocket in these situations. If this is the only option, then it seems to me that a single action pistol without a safety would be dangerous unless the chamber is empty. 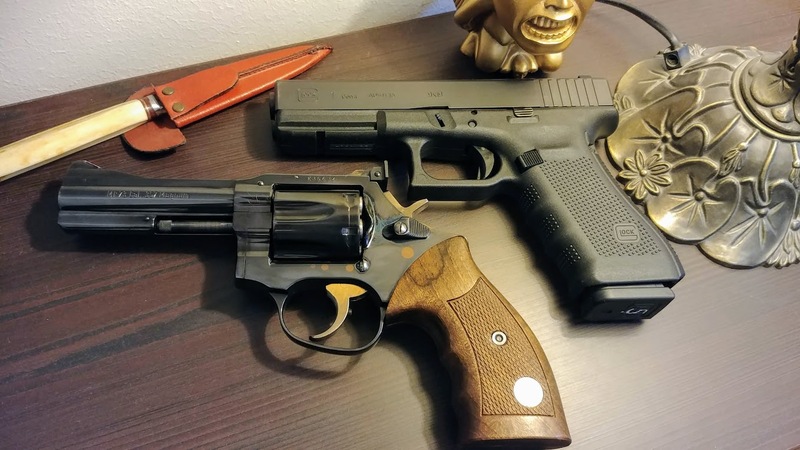 Since your opinion is that the chamber should be loaded for firing in an emergency, what would be a safe way to carry or a safer gun to carry, such as a double action only pistol? In other words, I would like to hear from you the safe practices and options available and that should be employed to ensure an accidental discharge is extremely unlikely. Since my personal experience with firearms is rather limited, I would like to share an analogy in my thinking. That analogy is locking car doors. In my lifetime (I am 58 years old), I have never had anything stolen from my car, despite leaving it unlocked almost all the time. In contrast, I have been locked out of my car several times (in the few instances where I have locked it) and I have known many others who have been locked out of houses and cars, but almost never robbed. The conclusion I derive from this experience is that it is better to leave my car unlocked (unless used in a highly dangerous area) than locking it which will surely lead to a lot of inconvenience. My point is - I see it far more likely for a gun being carried to be accidently discharged than it actually needing to be used. Therefore, it would seem to me to be far more prudent in ensuring no accidental discharge rather than the gun always being in the ready to fire at a moments notice state. While I defer to your expertise and experience, I am also aware that some of your experience is with law enforcement situations in which they are often putting themselves into dangerous situations, need to draw and fire quickly, and can carry openly which provides a much safer carry option. In other words, I don't think law enforcement situations correlate very well with low risk civilian ones. I would rather carry and fail to be able to use the gun than to carry and it go off accidently. Nevertheless, I respect your points and am therefore confused as to the best approach for me. How can a Glock/Ruger LCPII type firearm be carried to minimize the risk of accidental pulling of the trigger when concealing in a pants pocket? Are there some other ways to conceal carry that doesn't require a jacket or shirt hanging out? Would a double action only pistol be a better option? What would be a preferred additional safety option - not chambering a round, an external safety, DAO, other? I have heard you and others mention that accidental discharges are prevented by cascade of safeties. They only happen when of all these safeties are broached. Can you list these safeties? While the Glock may have many safeties preventing the gun itself from discharging unless the trigger is pulled, it doesn't seem to have any when the trigger is pulled. So what other safeties prevent this from happening unintentionally? A holster is the only thing I can think of, and in the minimal clothing situation I am talking about, that doesn't seem to be either very viable or helpful. I apologize for the long rambling note, and I hope you can understand my concerns and questions. I also realize that such a minimal clothing scenario makes for a lot of compromises. Certainly, in an open carry situation, the safest approach would be a revolver, and in such a case, I would not have any concerns or questions. The problem in a nutshell therefore, is how to carry concealed safely and what type of gun should I carry without a jacket or leaving my shirt untucked. A chambered Glock in this situation seems excessively dangerous, but I see your point about not chambering as well. An external safety seems to be a possible compromise but isn't available in a compact 380. DAO also seems like it may be the best approach, but I am not certain if it is safe enough. Thanks for your time to wade through this long letter. P.S. Please feel free to publish this letter and your response. I think it would be useful to others as well. Thanks for your email. I agree, there’s probably a lot of people that find themselves in this very same situation. I like your car key analogy. It’s funny how I’ve had the exact opposite experience: My entire life, I’ve always locked the door of my car as soon as I got out. Every. Single. Time. Not doing so meant someone would notice it and get in, steal something. Years later, even when driving for a hike out in the woods in the middle of nowhere and just getting out for a minute or two, I still lock the door. Its an incorporated habit. You get out of the car and you use the key to lock the car. Always. All the time. This means the key has to be in my hand to do so. That’s how I never locked myself out of my car by accident. ;-) Now if I would only lock my car once in a while, when I thought it was needed and not other times, then I wouldn’t have the same muscle memory where I take the keys with me, lock the car and put the keys in my front right pocket without even thinking about it. That’s the key word right there: You don’t have to even think about it. It has to be an unconscious process, muscle memory programed through repetition. You ask about carrying with an empty chamber. I most certainly would advice against it. Not because of what happens to law enforcement officers but because of what happens to normal, law abiding citizens. Sure, a gun with an empty chamber is fine if you have to shoot a deer on the side of the road, but when attacked? Not so much. There’s countless videos of normal people going about their day when suddenly attacked, struggling with their gun’s slide and even getting killed without firing a round. You are right about how unlikely the situation is. Years will go by without you ever having to defend yourself, if ever. But one day someone attacks you, he’s shooting at you, already on top of you and if lucky you barely have time to draw the gun and pull the trigger. Why is this person trying to kill you? Because that’s the way the world is. A mugging attempt, drugs, mental disorder, terrorism, it doesn’t matter. What matters is that it is violent and fast and you simply don’t have time. In most cases that I know of where ordinary people defended themselves, in most of them having a gun with an empty chamber would have been a mistake they would have paid for dearly, maybe even with their lives. Commit yourself to doing it properly, do it right every single time over and over and you will be just fine. I would encourage you to take some time to look up a reputable firearms instructor in your area, someone with good credentials. You don’t need a Navy SEAL, someone with a good reputation in your local community will do. In my opinion and based on every single instructor I know of that I believe is worth listening to, every single one of them will advice against carrying with an empty chamber. It just defeats the purpose of carrying in the first place in too many possible scenarios. 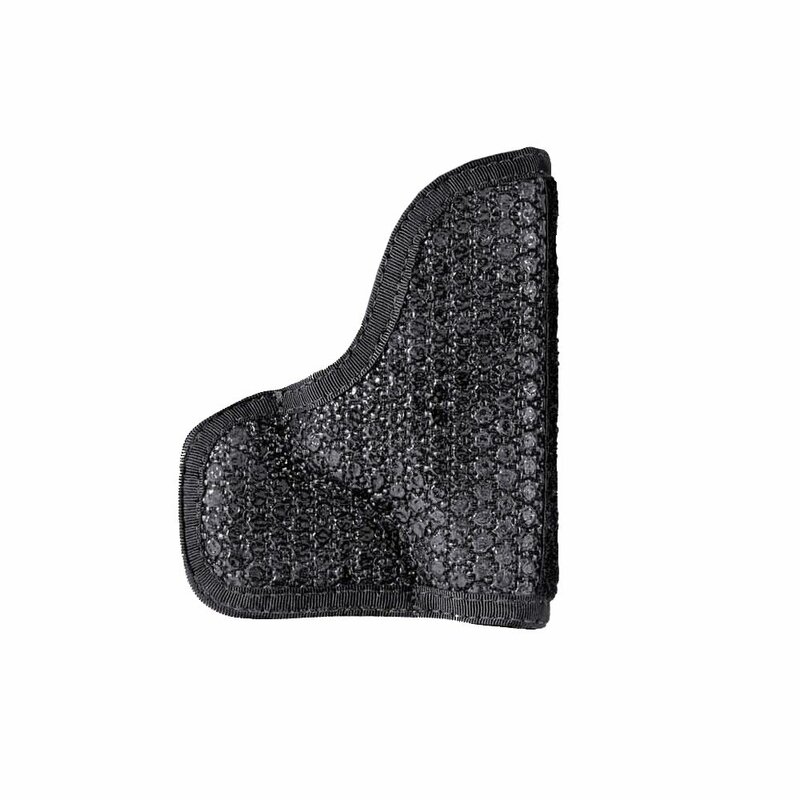 A small 380ACP Glock or Ruger LCP can be carried in a pocket holster. This is the most logical option for such small guns. You need a holster, there’s no way around that. While kept in its holster the gun is perfectly safe. Good training will help you come to peace with this. I believe the post 2013 LCP has a nicer trigger than the older models and the LCPII has a trigger safety like the Glock. 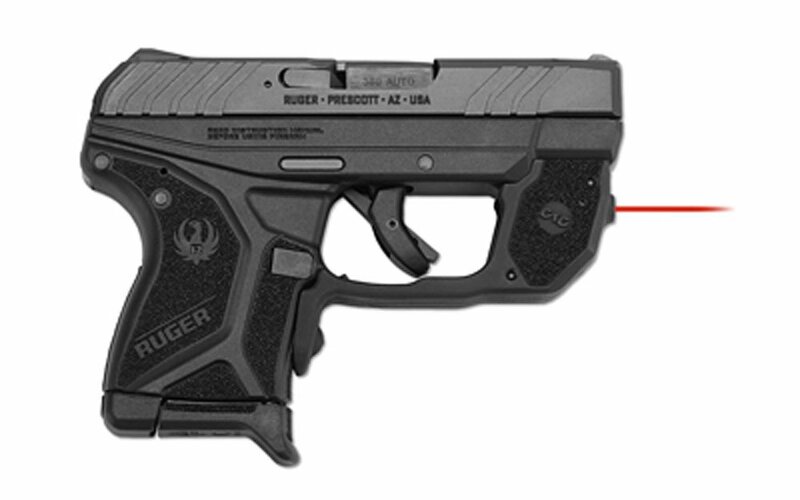 Given the small size and poor sights, it makes sense to use a laser sight such as the CT Crimson Trace Laserguard. 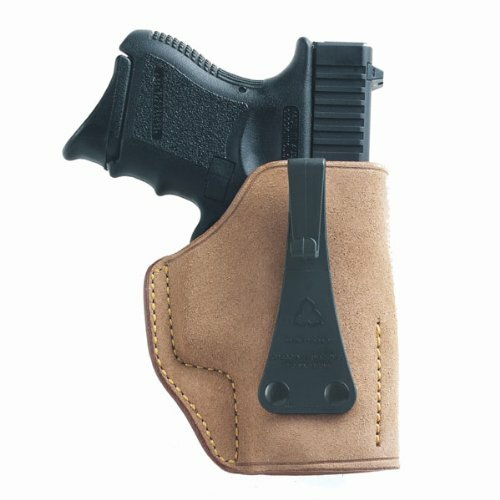 Here’s a holster that would work well with the LCPII with a CT laser installed. Another good choice would be a snub nose revolver, Smith & Wesson J-frame, something like a S&W 340PD with laser grips. Personally, I would go with a Glock 19 and simply use a tuckable holster. This allows you to tuck your shirt as you desire, conceal the gun well, yet be armed with a proper Glock 19. The hook loops and stays hidden behind the belt. Concealed carry isnt just about picking a gun. You have to dress around it as well, with pants, shirt and belt to go along with what you have in mind. 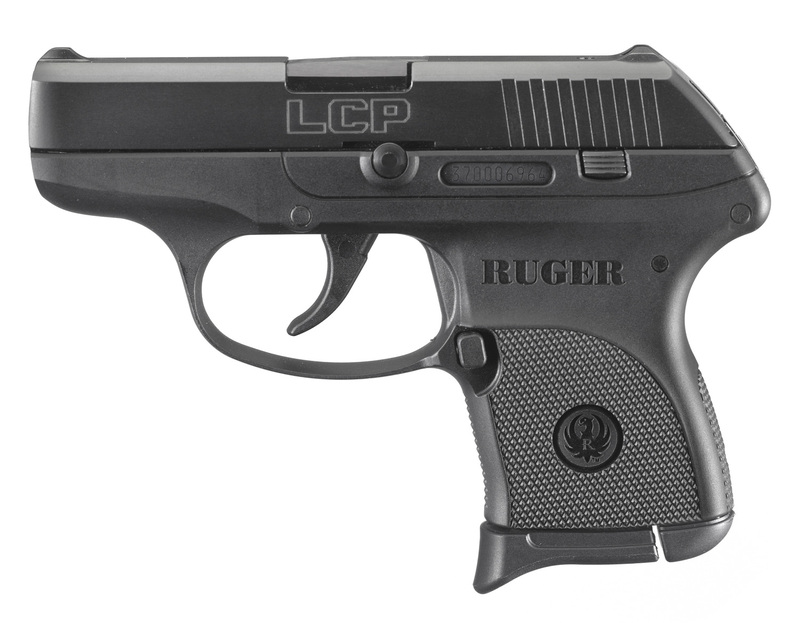 The Ruger LCP is double action only. For pocket carry yes, it makes sense. If you go with the LCP make sure you practice a lot given that pocket guns are harder to master. 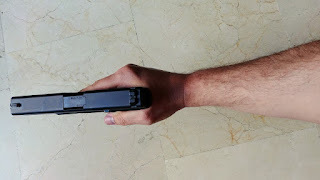 The Glock has three safeties, two internal and one in the trigger, but yes, pulling the trigger discharges the firearm. There’s no external manual safety. This seems problematic but again, with good training you quickly see why so many people chose the Glock, why its so successful and yes, very safe too. The trick is having a good polymer holster. As long as the gun is in its holster, the Glock simply will not fire. It all comes down to having a good belt, a good holster and the right training and safety habits. Combine those and it’s a perfectly safe gun to carry. Good luck and when you have the time, please let me know what setup you ended up with and how its working out for you. I am your subscriber for a few years now. I enjoy your videos and really grateful that you share your experience. I think I started watching your videos during sad events that took place in Ukraine in 2014 (with our peninsula being annexed, war in the eastern part of Ukraine, currency devaluation, etc.) I always hoped that I won't end up using valuable information gained from your videos, well, for obvious reasons. I wasn't really a fan of aforementioned events, so I moved to Canada. So, with that being sad, I would like to share my story of buying my first firearm — a Glock, and a malfunction(!) which occurred the first time I was shooting my Glock. But at first, allow me to share my shooting background. In Ukraine people are not allowed to possess a handgun, but since my father is in military, he always takes me to drills, where I can shoot firearms (Makarov's pistol, AK-74, PK machine gun, Dragunov's Sniper Rifle and even RPG-7). I shot few thousands rounds in my life, and I was relatively good at it. Nothing fancy, but I managed to hit my targets while having descent groupings. So when I came to Canada, I decided to buy a Glock19. It was my dream pistol since I, as a kid, saw it in a hollywood movie. I had a lot of arguments as to why I want specifically this pistol. You know all that arguments and you even have a video about it. Fast forward to my first experience with my new Glock19. I shoot my first magazine with 10 cartridges and... I have a jam on my third shot. This is weird — I said to myself. And continued shooting. I had another jam in my first magazine. I was desperate and I did not understand what was happening. I though there's something wrong with my glock. I had malfunctions (failure to feed and jams) in approximately 30% of shots, which is definitely not normal. I took it back to the store where I bought it and explained my situation. Store owner took my Glock and shot 40 cartridges with no issues whatsoever. And he told me that the problem might be in me. I smiled at him and left. You probably know where it's going now, right? That day I started browsing the internet and I learned a new term "Limp wristing". I could not believe that Glock can and probably WILL malfunction depending on how firm is your grip. 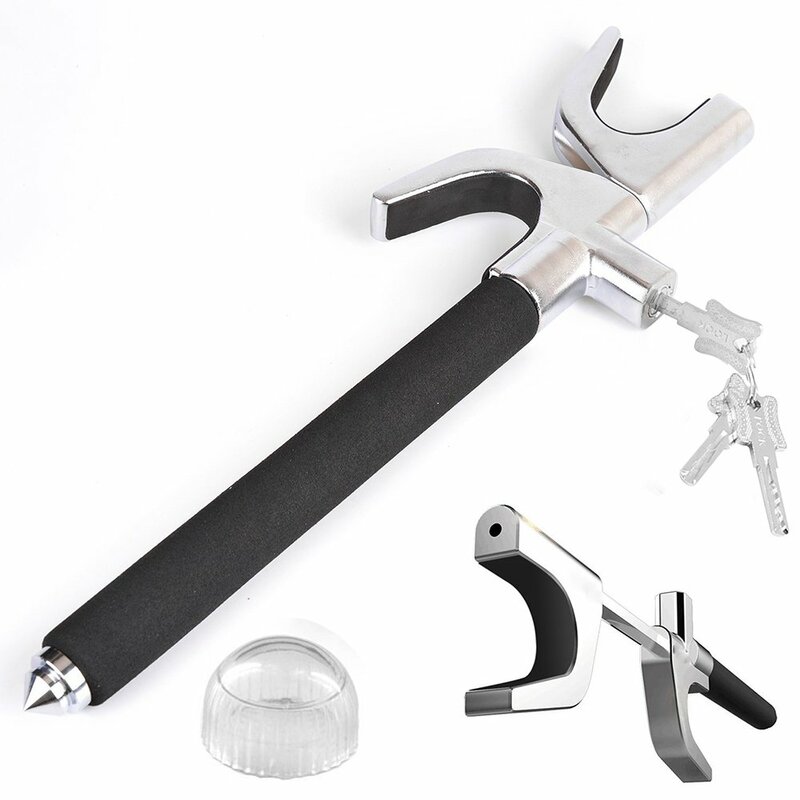 I couldn't believe since police use it, military use it — surely sometimes people there are under stress, being shot at, or even injured — how the hell are they supposed to constantly control their grip? But still, it's a fact. Police use it, military use it. I never ever had an issue like that while firing Makarov's Pistol. I told my father about it — he was really surprised. As well as his colleagues in the army. How come the reliability of your pistol depends on you, not on your pistol? Of course after I learned the cause of my troubles, analyzed and changed the pressure of my grip, I shot about 200 cartridges with no issue. I'm not selling my Glock, no. I will train with it, and keep shooting with it. But still, I really can not believe that polymer framed pistols have this issue, especially, that Glock has it. Now I have this thought, that maybe CZ pistol (or similar with a steel frame) might be better for a person who is concerned with self-defense. Especially if it's a weak guy or a small woman. I would really appreciate if you share any thoughts about this matter. 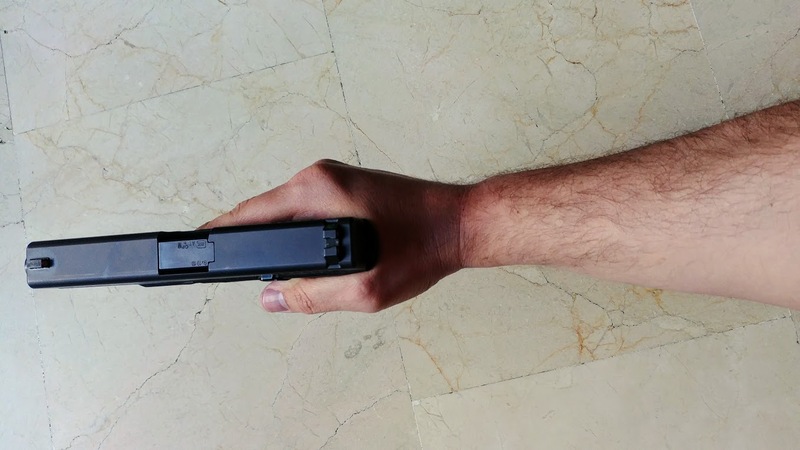 Yes, limp wristing can be a problem, but its not just Glock, any auto pistol is likely to fail when allowed to move in the hand. I cant say I ever had this problem. A good grip and maybe a little workout with dumbells will help you a lot. Unless you have a specific weakening disability, you shouldn’t have any problem as long as you hold your gun firmly. A good alternative for people that have this problem (for whatever reason) is a good revolver. I suggest though that you work on holding your Glock 19 firmly, it really is a fine, reliable firearm. 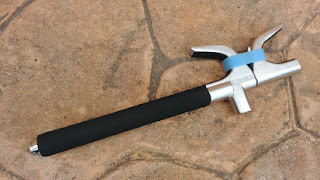 Hold it aligned with your forearm as shown in the pic below, and a good firm grip, as high as possible.